Acton High School is a close neighbour of the Museum Depot at Acton, just a couple of minutes walk up the Gunnersbury Lane, so it’s perhaps not surprising that it has a long history of supporting the museum. The most recent example was through Project 353’s learning programme. As Project 353 includes a major restoration project, with strong elements of research, craft skills and reproduction, it seemed natural to involve pupils with an aptitude for Art and Design Technology subjects. Fifteen year 7 pupils found themselves in Covent Garden and London Transport Museum, with ‘Access All Areas’ for a day and a brief to pull together an exhibition that could be mounted in the school. Those involved from the museum included the Head of Marketing and the Curators of the carriage, posters and exhibitions. They willingly submitted to detailed questioning from the young participants on topics such as exhibition staging, poster design, marketing and curating. Additionally the activities of the day were filmed by the students, giving them valuable experience and exposure to sophisticated techniques. 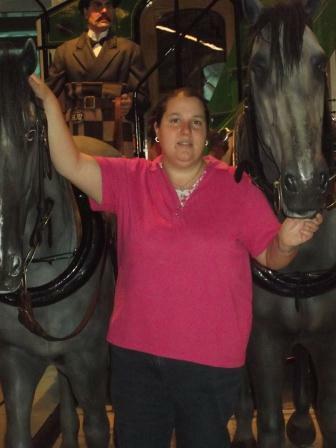 A Museum Learning professional then supported the group weekly over 10 weeks within the school. Facilitating workshops where the group created pieces to exhibit. Posters were produced, using a wide range of skills from painting to desktop publishing via collage. A video loop was also created and edited. 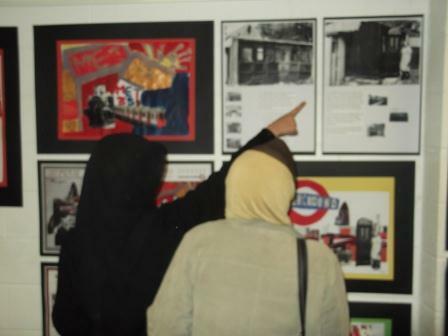 Finally the whole exhibition was mounted in the foyer of Acton High, where it entertained and educated students and parents over a number of weeks before going on tour to Acton Library on the High Street. All this hard work deserved a reward, and it came on 13th January this year when the team were invited to travel on 353 as part of the ‘Steam on the Met’ day, forming part of the Underground 150 celebrations. They were delighted to see the carriage in active use in all its glory, and be involved in such a prestigious event. What about the benefits for Acton High? Simone Stocks, their Community Outreach Manager, told me that the project was a great opportunity to reinforce the school’s relationship with the Museum. The involvement of parents in the foyer exhibition had helped bring in local communities too. The students had been stretched; the museum had treated them as responsible adults, and they responded well to this. The access to experts working in a professional environment was a rare opportunity for many students, and as such an invaluable resource for the school. The students, in their feedback, highlighted the benefits for them: “Opportunities based on what I’m good at, and a lot of collaboration”; “Good to get involved and have a new experience”; “It was fun and it challenged my learning”. So I think we can safely say that everyone involved came away appreciating the great opportunity that they’d had and very grateful that they had participated!